Pieter Toerien Productions shared a post. Here's a little known song from Bernstein's ON THE TOWN featured in LENNY ANDREW STEVE and ME. Tickets available through Computicket! Till we yonder into the woods again! Abrahamse’s long-time collaborators, Marcel Meyer and Charl-Johan Lingenfelder join the creative team as designer [Meyer] and composer [Lingenfelder] while celebrated choreographer Marc Goldberg [Mozart and Salleri & The Vortex] creates specialised movement and choreography for this exciting production. 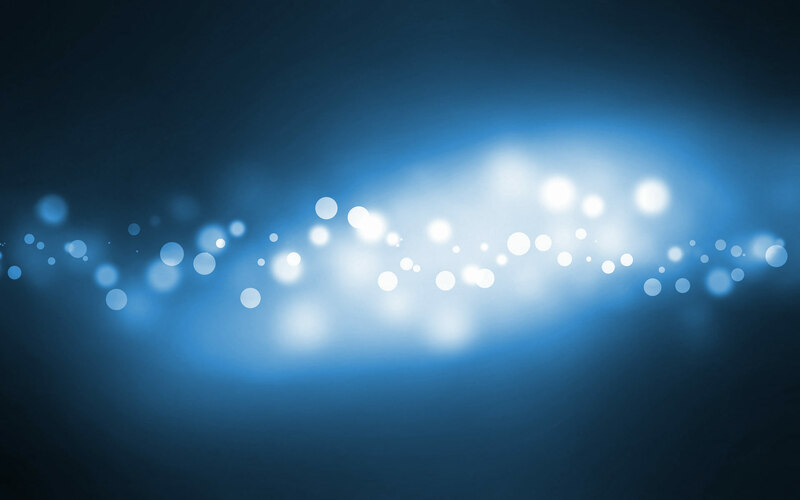 Pieter Toerien Productions shared a link. Jonathan Roxmouth performs "Another Suitcase in Another Hall"
Get your Early-Bird seats today for EQUUS! Theatre On The Bay shared a post. WIN WIN WIN with Theatre On The Bay and Hello Cape Town Magazine!!! #CapeTown, we're giving away TWO sets of FOUR tickets to TWO #LuckyWinners to see the satirical musical, OFFBEAT BROADWAY 5, at Theatre On The Bay on Thursday, April 25th at 8 PM. To enter, LIKE and SHARE this post and TELL US WHO you're taking along to share the laughter! Winners will be selected on April 22nd, so keep an eye on your inboxes! The count down is on! First audience on 24 April! Book for Offbeat Broadway 5 at Computicket or (021) 438-3301. Why sit through a whole entire musical just to hear your favorite song? Thank you, Theatre Scene Cape Town For this outstanding review! Only one more week #CapeTown, don’t miss this 5-star play - must close 20 April. Next up is Pieter Toerien's Montecasino Theatre & Studio. 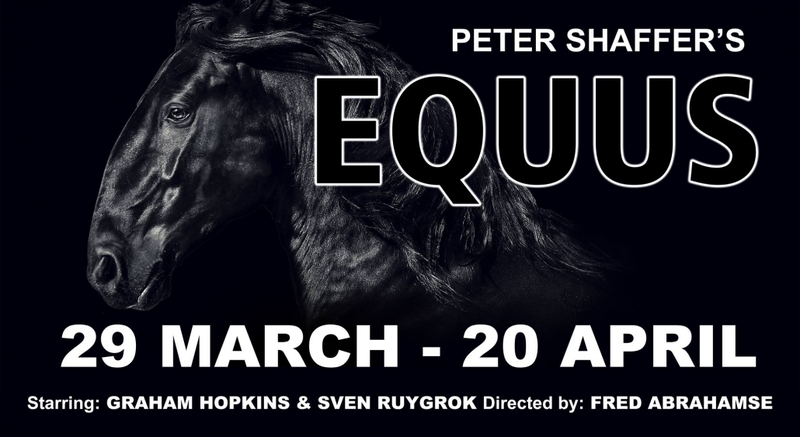 The Pieter Toerien Productions presented #EquusSA is captivating, with strong visual elements and brilliant performances. The cast is clearly committed to giving audiences a profound exploration of Peter Shaffer’s masterpiece as a play about people feeling emotionally displaced. 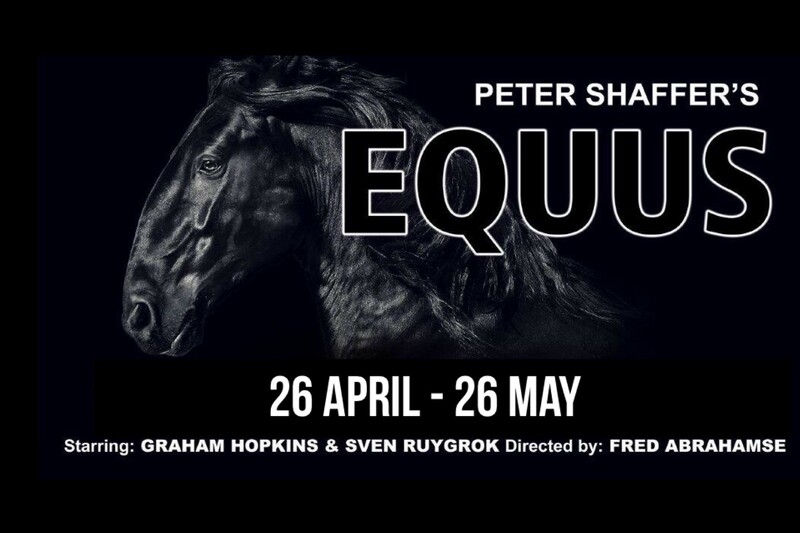 Equus is onstage at Theatre On The Bay until 20 April 2019, with tickets available online through Computicket. Theatre On The Bay is at Theatre On The Bay. SNEAK PEAK! Step into an Offbeat Broadway 5 rehearsal with Paul du Toit, Lindy Abromowitz Sachs, Anton Luitingh and Alan Committie. First public performance is on 24 April. Equus. A thrilling boy meets...horse story. Pieter Toerien's Montecasino Theatre & Studio shared a post. EQUUS - starts 26 April! Pieter Toerien's Montecasino Theatre & Studio shared a link.